Pie. Cookies. Chocolate. Eggnog. Champagne. The holiday season is filled with good foods. You eat and drink with your friends and loved ones to celebrate how much you care about them. But we all know that too much of a good thing is no longer good. Too many rich foods can lead to extra pounds, digestion upsets, mood swings and a generally “yucky” feeling. It’s all about balance. 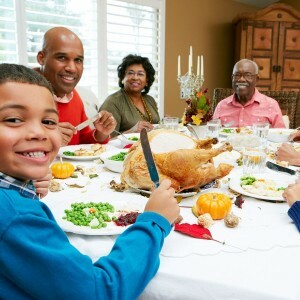 Good, healthy holiday eating can make the difference between an enjoyable holiday season and a miserable one. The trick is to enjoy treats without overdoing them. Make a healthy holiday eating strategy and plan to enjoy the holiday celebrations without feeling bad the next day. Decide on a moderate way to approach treats that are most tempting to you. Avoid brash decisions like “I won’t have any holiday cookies this year.” It’s easy to break unreasonable rules. Instead, make a moderate healthy holiday eating plan. For example, if cookies are your nemesis, allow yourself to eat 1 cookie at the holiday cookie exchange. If you can’t decide between your 2 favorite cookies, have a half of each. Either way you won’t feel deprived but you won’t overdo. Pick your battles to get maximum enjoyment with minimal deprivation. Find healthy alternatives for rich, high calorie food. Substitute nuts and fruits (both fresh and dried) for cookies or candy. Drink juice instead of soda, and herbal tea instead of juice. Make eggnog with skim milk instead of cream. During a meal, eat mostly vegetables instead of potatoes and stuffing. And remember, sweet potatoes with brown sugar or marshmallows are closer to a dessert than a vegetable. The hungrier you are, the more likely you will binge on bad foods. Remember to eat breakfast. Eat a healthy meal before you go to a party. Start every big meal with hot soup. Fill up with healthy food so you don’t race to the bad stuff. Eat an apple thirty minutes before a large meal and you will tend to eat about 300 fewer calories at that meal. Don’t stop your healthy habits just because it’s a holiday. Continue to drink lots of water and get enough sleep. Make time to exercise. Spend meaningful time with your loved ones. Take time to meditate or pray. Get outside. Maintain the healthy habits that you already have. When you feel good, you’ll be less inclined to eat foods that make you feel bad. Keep track of what you eat and how you’re feeling. Write about your stresses and emotional upsets. Compose poems and short stories. Keeping a journal will give you a non-eating outlet for stress, and remind yourself how good it feels to be healthy, happy and creative. Get a healthy holiday eating buddy. Partners make it easier to keep your healthy commitments in the face of indulgences. They provide accountability and support. This entry was posted in General Health, Healthy Eating and tagged acupuncture, best clinic, nutrition, wellness. Bookmark the permalink.